Rather Be Fishing: Tales of A Monster Hunter was a lot of fun to read because it manages to do everything right. It takes risks, and best of all it places its tongue firmly in its cheek the entire time. Stanhope's novel seems pretty straight forward. Monster hunter battles a variety of monsters. You're expecting a lot of gore, a lot of horror, right? 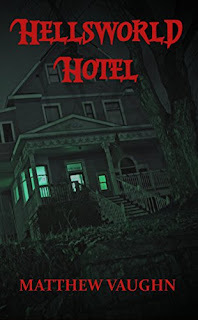 What you get is comedic tale with very little horror. Instead of being just a straight novel, we get short stories which are cases Mike has taken on. This makes the book unique and interesting because each case is different and shows us just how out of shape our hunter really is. You get Mike's story and how he became a monster hunter, but it's told slowly, and evolves organically. What makes this work is of course the title character. He's sarcastic, sometimes rude, and can never find enough time to fish with his dad. 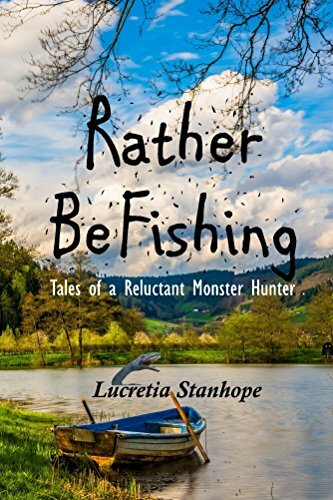 He's not the kind of guy you would expect to be chasing monsters, yet there he is. 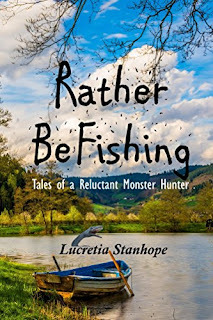 As a writer, Stanhope has a great skill to make us feel as if the narrator is sometimes unreliable, but that's the beauty of Fishing. It's that novice, almost I need to write this book because no one will believe I do this, type of vibe. Mike admits, he's not a writer, but he manages to pull us in and make us feel as if we're right there with him. The best story here is the one in which he squares off against the zombie. This is where he really shines as a narrator, and you can see his humor come to forefront. He actually calls a guy time and temperature guy, and then in his battle with the ghosts, you see his frustration, and rage at the conclusion of the case. Rather Be Fishing was a well written novel, and one that would make a great movie, or even a television show. Well written, and a lot of fun to read because it's so well written. It would be easy for a book like this to quickly become boring, but it doesn't. Mike is a character you like, and often forget that he isn't real. When a writer can do that, that's pure talent, and I hope we get see more of Mike's adventures soon. 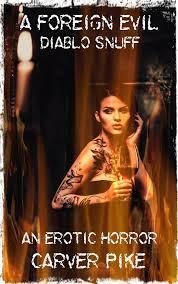 If you're a fan of great, well written novels, you should pick this one up.